The Council of Europe's Congress of Local and Regional Authorities said citizens should be able to express their opinions without fear of government reprisal, as it gave its verdict on Sunday’s local elections. 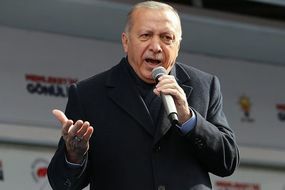 President Erdogan suffered a major setback on Sunday when his party, the AKP, lost control of the capital, Ankara, after 16 years. 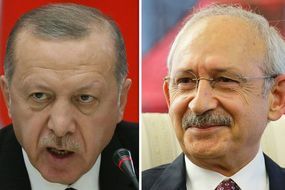 The party is challenging the results in both Ankara and Istanbul - Turkey’s biggest city which is seen as the biggest electoral prize - where the opposition is ahead. Andrew Dawson, the head of the Council’s delegation, told reporters in Ankara that 22 observers were sent to around 140 polling stations across the country to watch people exercise their right to vote. He said while voting was “conducted in an orderly way” that was only part of what ensured fairness when it comes to a poll. He said: “We from the Congress of the Council of Europe are not fully convinced that Turkey currently has the free and fair electoral environment which is necessary for genuinely democratic elections in line with European values and principles.